The Last Guardian is flawed. Deeply flawed. It’s an amazing experience, to be sure, but its mistakes are too prevalent to be ignored. Because, while amazing on paper, commanding a gigantic bird-cat-dog through a mysterious, ancient valley only works some of the time. It’s a puzzle game at heart, and that’s one of the areas the The Last Guardian gets right. Most puzzles revolve around Trico, the feathery companion following the protagonist throughout most of the journey. Because of Trico’s immense size, it can’t fit through much of the small corridors present in the ruins that the player is tasked with exploring. It’s up to the player to find alternative routes or open up bigger entry ways for Trico. This can involve dodging relentless guards, some difficult platforming, and more. The game’s puzzles are full of surprises and can be exceedingly satisfying to complete. Of course, there are a few puzzles that don’t come across quite the way the developer intended, but the majority are well thought out. As stated earlier, The Last Guardian has some rather challenging platforming segments, but these segments aren’t necessarily designed to be hard. This difficulty can be attributed to the game’s fidgety control scheme and unpredictable engine. It’s physics-based, meaning the player controlled character will react to every surface he touches. Every jump is unsure because it’s nearly impossible to discern what or where the boy will cling onto. The controls are confusing at first, with each button doing a different assortment of actions. The circle button is to grab, but it also climbs, as does the triangle button. The cross button lets go, but it also grips… sometimes. This confusion results in some unresponsive game play. The player is left to guess what buttons will do the correct action, and it’s frustrating when this guessing process leads to death or having to restart a tedious climb. The controls can be mastered, but not until the game is mostly over. Another unresponsive element of the game is Trico himself. He’ll often ignore commands from the player, which can be frustrating if they know the correct path. No matter how clear the way, it doesn’t matter if Trico hasn’t realized. The protagonist can’t jump the distances that Trico can, so he depends on it to progress. If Trico doesn’t listen, this can amount to minutes of waiting. 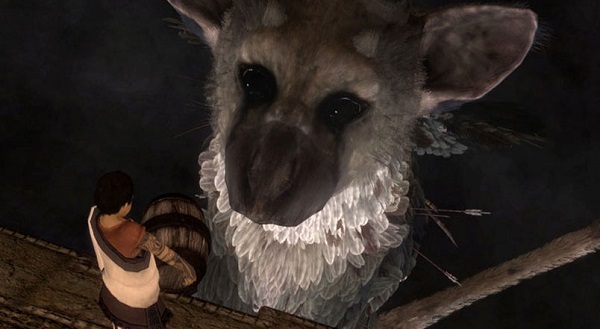 The game presents the possibility of commanding Trico, but it simply doesn’t listen. The player’s fate is in its obnoxiously oblivious hands. When the AI does work, it’s brilliant, deciphering the next step and taking affirmative action. This makes it even more frustrating when Trico decides to jump backwards instead of onto the obvious pillar in front of it. It just kind of does what it wants. The Playstation 4 has a hard time running The Last Guardian. The frame rate slows consistently, even coming to a complete halt at times. That makes the already arduous platforming even more so, and the player can be stripped right out of the most epic moments. Beautiful scenery and settings are dwarfed at times by the choppy graphics. The Last Guardian can be truly breathtaking to look at. It should not be chained to a console that can’t handle it. That’s not to say that it never has a steady frame rate, but it would be much smoother if played on a PC. ‘The Last Guardian’ can be seriously beautiful. Here ends the list of The Last Guardian’s mistakes and begins the catacomb of its achievements. First up: Trico, the big, feathery bird-cat-dog that seamlessly acts like all three. Its AI can be shoddy at times, but it’s worth powering through those moments just to get to see it do… anything. The developers must have spent months studying cats, dogs, and birds and memorizing their mannerisms. Trico mimics these real world beasts perfectly and becomes all the more personable as a result. Watching it jump from pillar to pillar, groom itself, then bark or sniff is strangely seamless. It feels like a cohesive creature, even though it’s an amalgamation of different ones. Trico may be fun to watch, but it’s easy to underestimate just what a technical marvel it is. It reacts to the boy in seemingly limitless ways. It whines when he leaves a room, it barks when he reappears, it hops with joy whenever it is fed. This kind of realistic personality and AI make The Last Guardian less of a game and more of a playable movie. And that’s perfectly fine, as it has the story to validate that format. The player grows more attached to Trico the further into the game and the more trials they overcome together, and the same goes for Trico. It’s a brilliant form of character development that doesn’t actually stop the game from being played. It’s impromptu storytelling at its finest. Then, there’s the story itself. Much like its two predecessors, The Last Guardian’s narrative is emotionally gripping and told masterfully. It’s paced smoothly and doesn’t feel rushed, despite The Last Guardian’s relatively short length. While there are about as much action packed moments as one would expect from a game featuring a giant beast, there are also quite a bit of touching scenes. Trico and the boy wholeheartedly depend on each other, and grow a real bond by the end of the story. The boy, and consequently the player, understand Trico and its feelings more as time goes on. They relate to it, despite the obvious differences between the two characters. The Last Guardian might have its issues, but it manages to overshadow a lot of them with sheer excellence. The controls, frame rate, and AI can be messes at times, but the storytelling and personality are ingenious. In this way, The Last Guardian is an emotional roller coaster. It’s immeasurably aggravating one minute, but an absolute masterpiece the next. It’s a contradiction in and of itself. Luckily, the greatness peaked extremely high. ‘J.T.’ – A tragic, poetic and improbably beautiful holiday special that is a must see!